White gold necklace set with diamondsThis hand-made 18-carat white-gold diamond necklace is part of ..
White gold necklace set with diamondsThis entirely hand-made 18-carat white-gold pavé necklace is pa.. This year Messika has created exclusive reinterpretations of its classic collection - Glam'Azone.Eac..
Messika Angel Between the FingerTo be worn between the index and ring fingers in line with the neo-j..
White gold ring set with diamondsThis entirely hand-made 18-carat white-gold pavé ring is set with m..
White gold necklace set with diamondsThis 18-carat white gold necklace, fully hand-made and set with..
White gold necklace set with diamondsThis 18-carat pavé white gold necklace, fully hand-made and set..
White gold ring set with diamondsThis pavé ring in 18-carat white gold, fully hand-made and set with..
White gold necklace set with diamondsThis entirely hand-made 18-carat white gold pavé necklace is se..
White gold ring set with diamondsThis 18-carat white gold pavé ring is hand-made and set with brilli.. 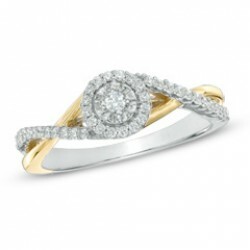 This 18-carat white gold pavé ring is hand-made and set with brilliant-cut diamonds. Stylised design..
White gold ring set with diamondsThis entirely hand-made 18-carat white gold pavé ring is set with b..
White gold ring set with diamondsTo be worn on two phalanges in keeping with the neo-jewellery trend..
White gold necklace set with diamondsThis hand-made 18-carat white-gold pavé necklace is set with br..